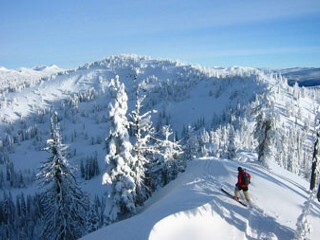 InIdaho.com has specially priced lift tickets to Brundage for all of our guests who book lodging with us. We'll have your tickets waiting for you at the mountain. Visit Brundage Mountain Resort high in the mountains of Central Idaho! 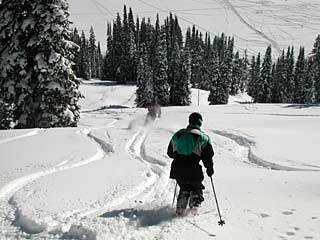 Brundage is known for the Best Snow in Idaho by the people who know Idaho skiing! 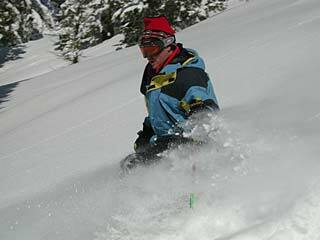 Known as a family friendly, powder mountain their season often extends into May. Blessed with plenty of Rocky Mountain powder, Brundage has a reputation for the best snow conditions in the region. 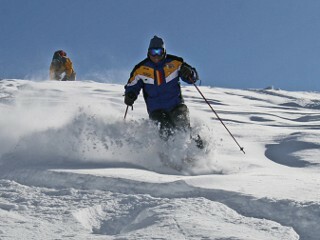 Snow lovers enjoy wide, beautifully groomed runs and glades of feather-light powder for superb skiing and snowboarding. Beside boasting the best snow in Idaho, Brundage Mountain adheres to the time honored values and skiing experience of yesterday; lifetime, family sport, affordable prices, friendly people, and an uncrowned powder experience. 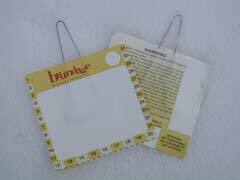 Brundage is like an old friend and a contented refuge from the maddening work-a-day world. The Brundage experience is not just limited to winter activities. During the summer enjoy mountain biking, hiking, chair lift rides, and concerts. 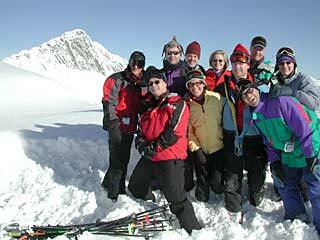 Brundage is also a popular location for group events such as weddings, family reunions, and meetings. General Location: 3890 Goose Lake Rd. 8 miles North of McCall. Directions: From McCall go north approximately 4 miles to the Brundage Mountain turnoff on your right. The resort is 4 miles up from the highway. 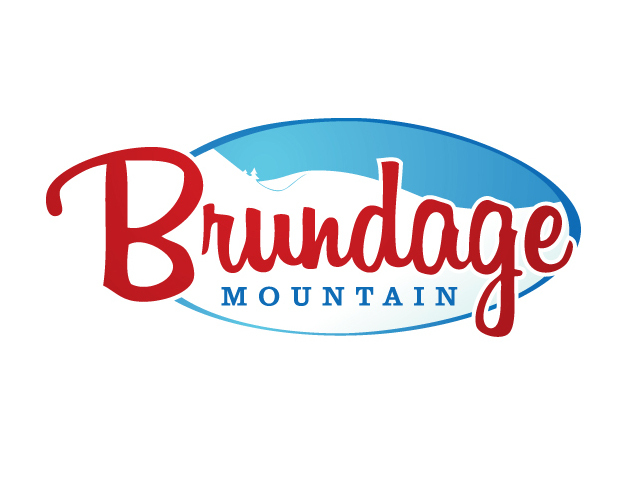 We do not have any current pre-built packages for Brundage Mountain Resort . The Kids' Center offers all-day programs catering to children for 6 weeks to 8 years. While little ones are cared for at the bright and cheery Bunny Hutch Nursery and Play School, young snow riders aged 4-8 enjoy supervised activities with the Brudage Bear, including lessons and lunch. Open 9 to 5pm daily. The Bunny Hutch Day Care operates under a license by the State of Idaho. Ages 6 week to 8 years are allowed and reservatons are required. Please call 208-634-7462 ext. 128. The Brundage Mountain Ski School has something for everyone. 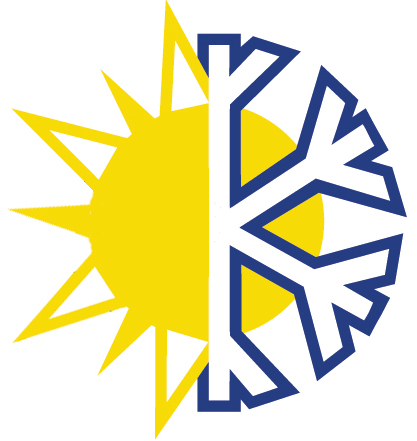 Private and group lessons are available for skiers and snowboarders. Brundage Mountain instructors will help you build new skills, so you can enjoy even more runs and varying snow conditions. From the Boise Airport (BOI) (approx. 114 miles) 1. Take I-84 West 2. Take Exit 46 /ID-55 North towards Eagle/McCall/Emmett 3. Turn right onto E. State St./Hwy44/ID-55 4. Turn left onto ID-55 5. In McCall continue through town, staying on Highway 55. 6. Turn right onto Goose Lake Road approx. 4 miles north of McCall. 7. Continue on Goose Lake Road road until you reach the entrance to Brundage Mountain. From McCall, Idaho (approx 8 miles) 1. Take HWY 55 North towards New Meadows 2. Turn right onto Goose Lake Road, approx. 4 miles north of McCall. 3. Continue on Goose Lake Road road until you reach the entrance to Brundage Mountain. From New Meadows, Idaho (approx 10 miles) 1. Take HWY 55 South towards McCall 2. Turn left onto Goose Lake Road, approx. 6 miles south of New Meadows. 3. Continue on Goose Lake Road until you reach the entrance to Brundage Mountain. Brundage Mountain Resort offers access to hundreds of acres of Payette National Forest. Lift-served mountain biking provides over 20 miles of especially built single-track trails. With the trails varying in degrees of difficulty you can enjoy a leisurely jaunt or extreme ride down to the base area. 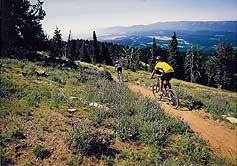 Bike rentals (helmets included) to sportswear, gifts, souvenirs and a snack bar, Brundage Mountain offers everything you need for a fun-filled day of mountain biking. 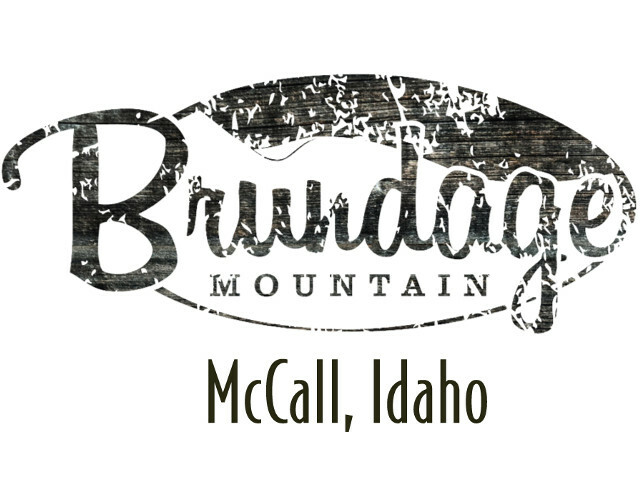 Brundage Mountain Resort is located outside of McCall, Idaho. At the resort: There are not any on mountain lodging options available at Brundage Mountain at this time. Many visitors choose to stay in McCall while visiting Brundage (~8 miles). 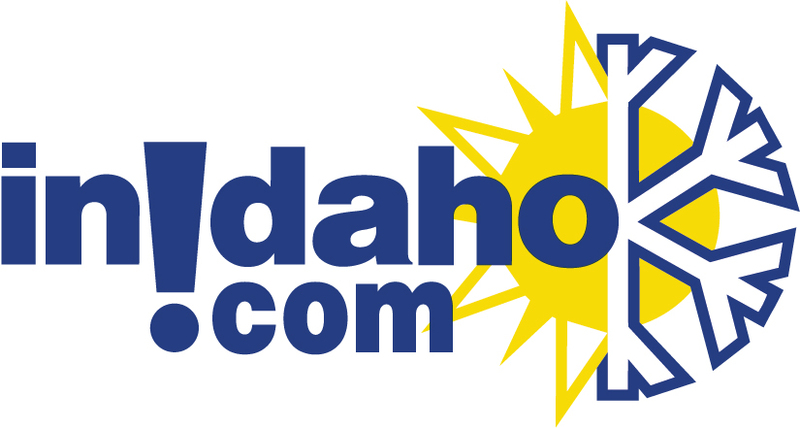 InIdaho offers a wide variety of lodging choices in McCall and the surrounding cities of New Meadows (~8 miles), Donnelly (15 miles) and Cascade (34 miles). 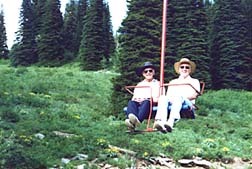 Ride the chairlift to the top of Brundage Mountain. Take a walk, have a picnic or just enjoy the spectacular view. When you are ready, enjoy the sights as the lift gently transports you back down the mountain. Experience the thrill of snow cat skiing. Join Brundage Mountain on a guided Cat Ski trip into the backcountry of the Payette National Forest. Please note: Guest reviews may mention certain amenities that may no longer be offered with Brundage Mountain Resort. Please check the amenities prior to booking to confirm. "beautiful low key resort. Don't become Whistler, stay Idaho." "It was such a nice consideration to have 20% off for us as people who stayed and made reservations via inIdaho.com. " 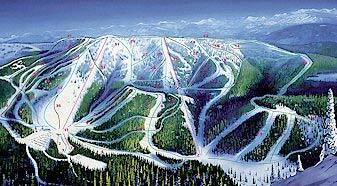 "Brundage is a beautiful ski area and the price is very reasonable." Cancellation Policy**:(May vary with special rates, packages & online bookings) Lift Tickets purchased through a package have a 48-hour cancellation policy with it being non-refundable and non-changeable. Check in location: Tickets purchased through InIdaho.com at the ski area's lift ticket windows.